Did you know glass bottles and jars are 100% recyclable? Don’t let a good thing go to waste. That is why we want to separate glass bottles and jars from the yellow-top bins to make it better to recycle. 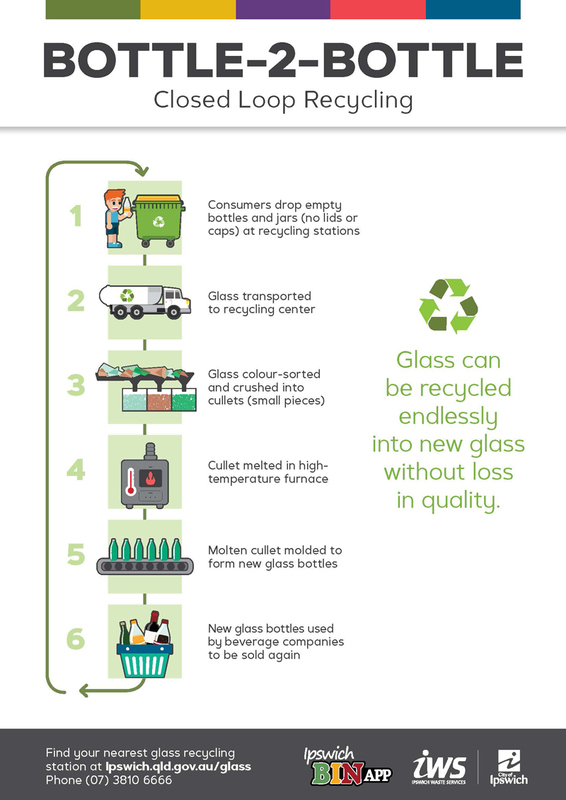 Glass is one of the few packaging products that can be reused and recycled repeatedly without any loss in quality. Using recycled glass to make new bottles and jars uses fewer raw materials and reduces carbon emissions. Taking glass out of the kerbside yellow-top bin recycling service makes the remaining materials more valuable. Paper, plastic, cardboard, cans and tins contaminated by glass fines are more difficult to recycle and have a lower value when sold for manufacturing than clean, uncontaminated material. As glass is made from only three natural ingredients – sand, limestone and soda ash – it doesn’t break down into harmful chemicals, making glass the most earth, ocean and animal-friendly packaging option. Council is committed to investigating and implementing innovative waste and recycling services and has proudly partnered with the world’s leading glass recycling company Owens-Illinois (O-I). The company collects empty glass bottles and jars from designated glass recycling stations in Ipswich and processes the used glass into brand new bottles and jars. Disposing of glass correctly ensures that it can be recycled and reused over and over again – infinitely. Glass bottles and jars can be dropped off at one of Council’s glass collection points (listed below). Do not place glass in your yellow-top recycle bin, as even a small bit of broken glass can contaminate all other recyclables. As a last resort, if you are not able to drop your glass items at one of Council’s glass collection points, place your glass bottles and jars (cleaned, with lids removed) in your red-top general waste bin. 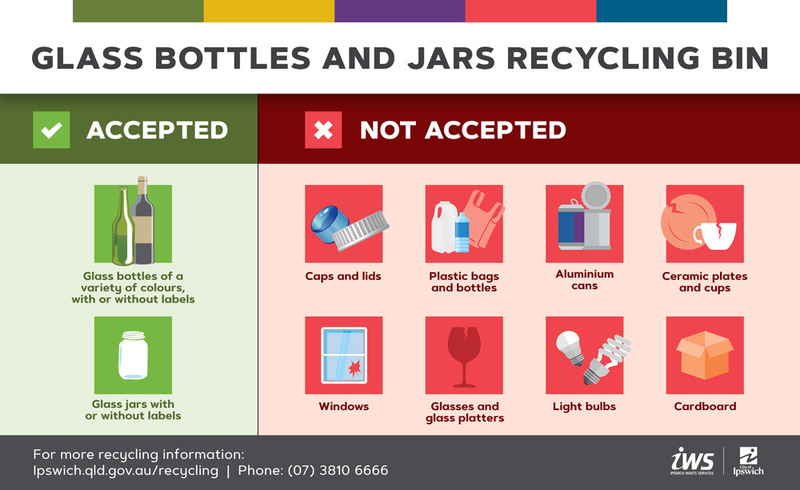 Give bottles and jars a light clean if necessary and remove lids (plastic or metal lids can go in your yellow-top recycle bin) and any plastic/metal rings or tabs. Recyclable glass includes: clear and coloured glass bottles and jars of all sizes are recyclable – including beer, wine and soft-drink bottles, food and vitamin jars. heat-treated glass (e.g. Pyrex). Dispose of these by wrapping in newspaper and placing in your red-top bin. Council has allocated the below locations as glass collection stations - residents can drop their glass off at any of the below stations at no cost and the glass will be recycled and reused. Council continues to investigate further convenient locations across Ipswich and will update this webpage with these locations as they become available. Please note that no container refund is paid to residents who drop their glass at council collection points. Container refunds are only applicable to eligible containers disposed of at special container disposal stations under the Queensland Container Refund Scheme (CRS). While glass containers that are marked as eligible for the Queensland Container Refund Scheme may be dropped off at any of council's below glass collection points, no refund will apply (see following paragraph for more info about the CRS). Queensland uses almost three billion beverage containers each year and most of these end up littering our beautiful state, despite the fact that drink containers can easily be recycled. On 1 November 2018 the Queensland State Government introduced its new container refund scheme Containers for Change, where most glass, plastic, aluminium, steel and liquid paperboard beverage containers between 150ml and 3l (displaying the special refund mark) are eligible for a 10c refund per container when returned to a designated refund point. 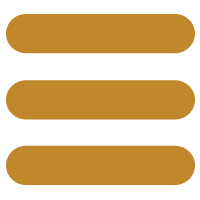 Visit the Containers for Change website to find out more about the types of eligible containers, the refund point operators and related information.